At Gilda’s Club our goal is to change the cancer experience for anyone whose life has been touched by cancer. By becoming a Gilda’s Giver, you are helping to put smiles and laughter back into the lives of children, adults and families on a cancer or grief journey. Whether it’s someone facing an unexpected diagnosis, or grieving the death of someone in their life, Gilda’s Club provides the emotional support needed when facing some of life’s toughest challenges. 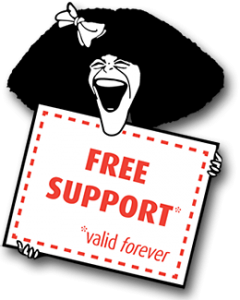 A donation of $11 every month will fund one person’s weekly participation in one of 260 annual support groups at Gilda’s Club. A donation of $18.50 every month will fund one of 222 children who are registered in our specialized program for child and youth called Noogieland. A donation of $47.55 every month would provide the full Gilda’s Club Program to one person living with the impact of a cancer diagnosis, and make it possible for men, women, children and families to change their cancer experience. 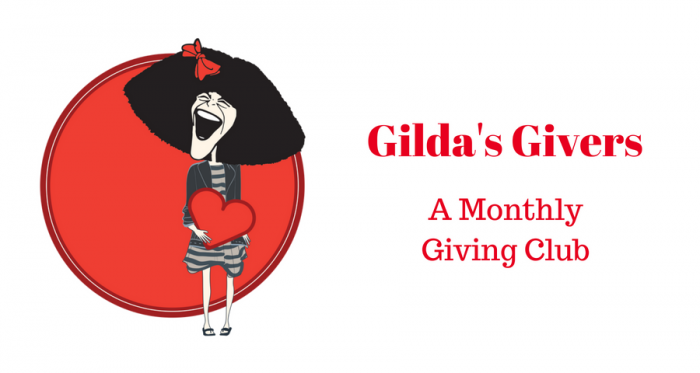 Becoming a Gilda’s Giver is easy! Download the form here or sign up online today.